People hate Nintendo’s region-locked consoles. While the Kyoto-based game maker says it can’t unlocked current 3DS unit, the upcoming NX console could be region free. Nintendo is looking at that right now. No promises, though! When you were asked if you would lift the region locks at the Financial Results Briefing six months ago, you answered that you would take it into consideration. Please explain the current situation. My understanding is that it is not realistic on the existing video game systems because unlocking them after they are already on the market poses a number of hurdles. 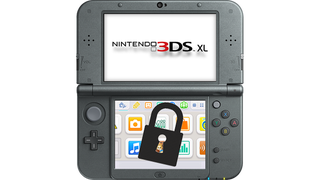 On the other hand, regarding NX, we understand that many consumers hold such opinions and such suggestions exist in the market, and although we have nothing concrete at the moment, we are internally analyzing what hurdles exist to lifting region locks. That is the situation right now. We acknowledge your request, and I personally want to give it positive consideration. As this shows, unlocked current systems appears to be rather simple, no? One of the most annoying things about the 3DS—and the Wii U, for that matter—is Nintendo’s region-locking. Let’s hope that Nintendo does decide to make the NX region-free. That would be a big plus for the system.